Does everyone store their Christmas decorations in the highest, most out-of-reach place in their house? It makes complete sense, you would happily bet money that you are not going to need them for at least another eleven months when you put them there! Actually let me go back a little further. Before I went on holiday, I was rediculously busy (which resulted in me needing that holiday, and why I haven’t been giving you guys much love). I decided not to return to my corporate job in Melbourne and started a new business (all in the last 3 months!). The details of my new business can wait… we were talking about Christmas decorations – I do love a good tangent though! So I bought a gorgeous drift wood wreath on the Sunshine coast in Queensland, and packed it in my suitcase to bring home for our door… and it was worth all the effort. 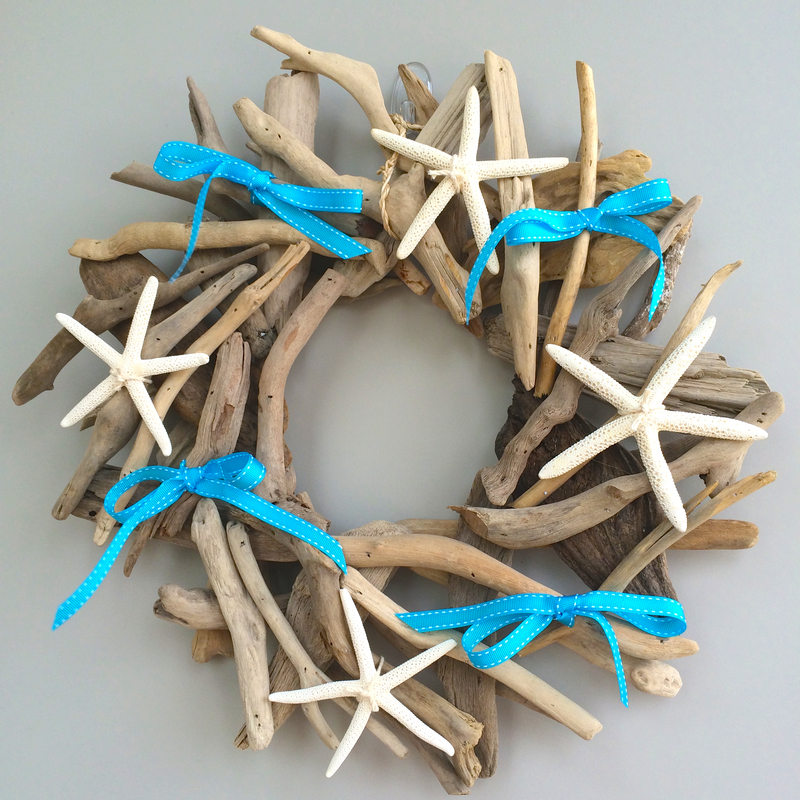 I couldn’t help myself, and added the star fish and turquoise ribbon to give it even more of a coastal Christmas theme. You can head over to my Pinterest Christmas board for even more Christmas decoration inspiration. 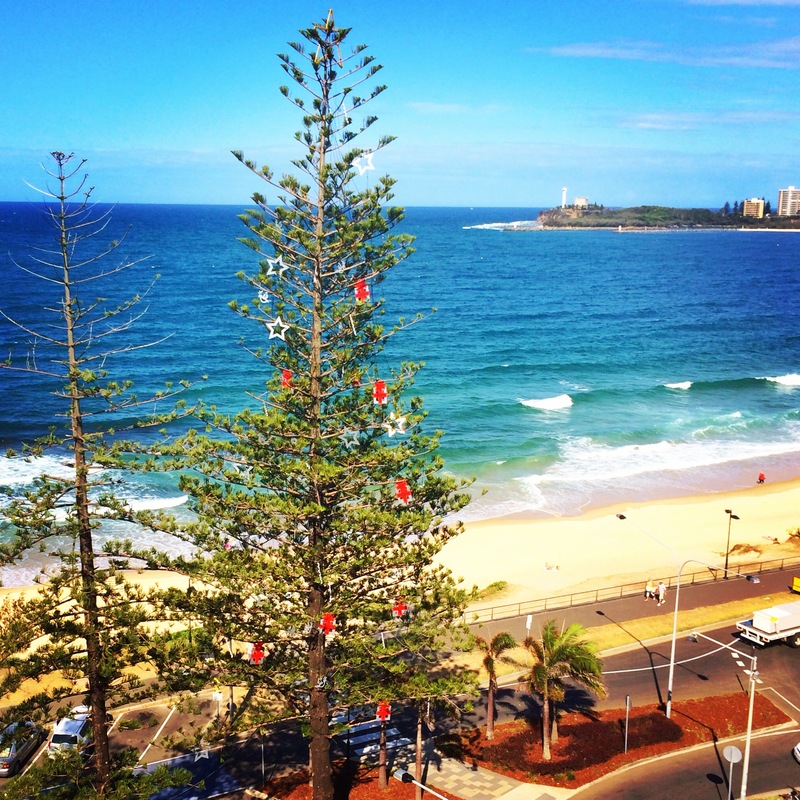 Or read my Aussie Christmas Menu post that is always extremely popular at this time of year. Or make your own wreath using my tutorial on how to make the Toilet Paper Roll Christmas wreath featured above. Every day I am reminded of the disposable lifestyle we live – constantly chucking out packaging (glass, plastic and metal). So many of the things we put in the rubbish bin could be used for other purposes in our house – so I started collecting them. For some reason it seems a lot worse with a baby… formula tins that seem to multiply, washing detergent packaging, empty wine bottles (they seem to mysteriously appear after all the washing and feeding is done for the day!! ).